Please note that from the 1st of December, 2018, the cost of national and ICAO AVSEC training courses has been changed. 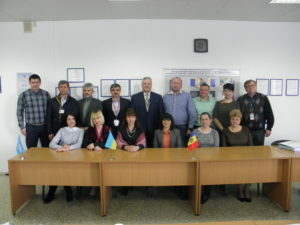 Please detaile information about the cost contacting Svitlana Saiko, tel . : +38 (044) 281 71 36 or tel./fax: +38 (044) 281 75 26. This course is mandatory for all personnel with access to airside areas, security restricted areas at airports. 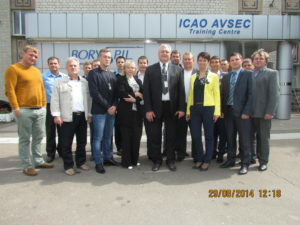 It is required for initial and refreshing Initial Aviation Security Training. This course is mandatory for all aviation security technical means operators. 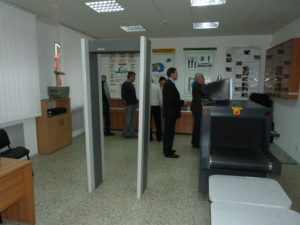 It provides a solid foundation for any employee preparing to work at a security screening checkpoint. 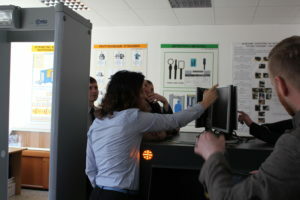 This course details the process to be used when screening persons and baggage, x-ray screening. The course is designed to train security supervisors to supervise the application of airport security preventive measures. 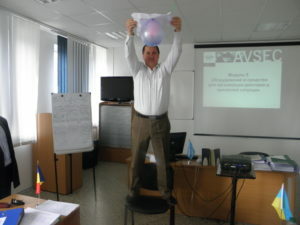 This initial course has been designed to enable aviation security personnel to work in and move about an aviation security; control the movement of people and vehicles; guard and patrol airport vulnerable areas, facilities and aircraft; recognize weapons and explosive/incendiary devices; inspect/screen/search passengers and baggage and respond to airport emergency situations. 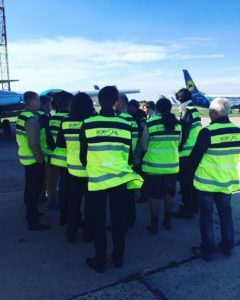 This course designed to enable the personnel performing patrolling and guarding of civil aviation facilities to work in and move about control the movement of people and vehicles; guard and patrol airport vulnerable areas, facilities and aircrafts. The course has been designed to enable selected personnel for making profiling in handle document examination, passenger security through critical, suspicious and positive signs, passenger classification. This course designed for preparing the catering personnel who are involved in aviation security process of the on-board catering. This course designed for the technical personnel who are responsible for the technical support of security technical means of airport to work in and move about aviation security. This refresher course designed for the personnel performing patrolling and guarding of civil aviation facilities to work in and move about aviation security. This course designed for the preparing personnel who will be additionally involved in a passenger and crew members screening (in a period of mass events). This course designed for the preparing aviation security personnel in about the human factors principles and psychological aspects in aviation security sphere. 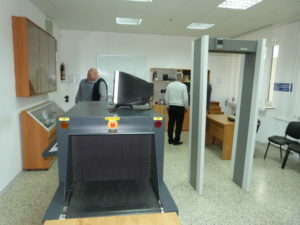 This course designed to prepare security personnel for working in security control, x-ray screening. 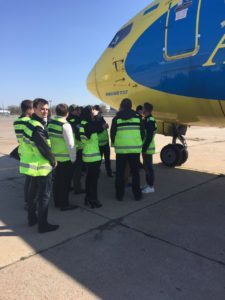 Trainees are also given further options to focus their skills in passenger and crewmembers screening, air luggage screening, aviation security training. This course designed together with IATA for airline all categories personnel with the necessary aviation security awareness in order to prevent all acts of unlawful interference. This course designed together with IATA for airline aviation security supervisors and management personnel with the necessary aviation security awareness in order to prevent all acts of unlawful interference. 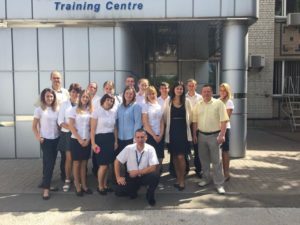 The course designed together with IATA to equip the cabin crew with the necessary aviation security awareness in order to prevent all acts of unlawful interference on board the aircraft. 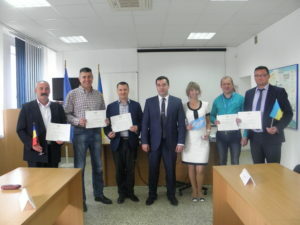 This course designed together with IATA for airline ground service personnel with the necessary aviation security awareness in order to prevent all acts of unlawful interference. Course designed to train base or entry-level airport security personnel to enforce, monitor and apply airport security measures in accordance with locally approved programmes, and to communicate and cooperate with other airport agencies. 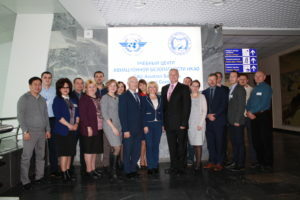 Course designed for aviation security management personnel, focuses on risk management as it applies to protecting civil aviation against acts of unlawful interference. The course will provide participants with the opportunity to assess risk through the identification and evaluation of threats, consequences and vulnerabilities, provide the skills necessary to apply risk management methodology when determining the appropriate level of security measures to be implemented. Nominees should be directly involved in the assessment or management of threats, vulnerabilities and/or risk. Course intended for personnel involved in over site responsibility for the handling of cargo and mail. It provides information on the purpose and intent of existing security measures, the implementation of appropriate security controls for cargo consignments, and the appropriate emergency response procedures in the event of a cargo security incident. Course providing trainees with theoretical and practical knowledge of fundamental aspects of the audits and inspections as a part of a National Quality Control system. 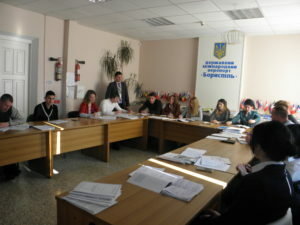 Trainees are provided with a standard methodology as well as specific techniques. 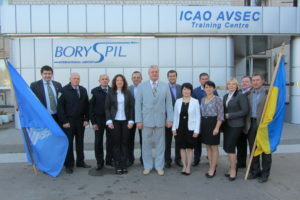 The course is concluded by an exercise conducted at the airport. Course where graduates will be able to conduct AVSEC courses and be fully versed in the general application of training principles, the preparation of appropriate teaching aids, and the tailoring of course material to harmonize course objectives with local and national requirements. It is intended for any aviation personnel who require AVSEC instruction guidance and materials.